The Dragons will be at the big Mayor's Cup race today, with our varsity getting its first chance to run in the Championship race with 18 of the city's best teams. It's the one chance that we get to run against schools from Catholic and independent schools. The varsity race distance is 2.5 miles, and for freshmen it 1.5 miles. 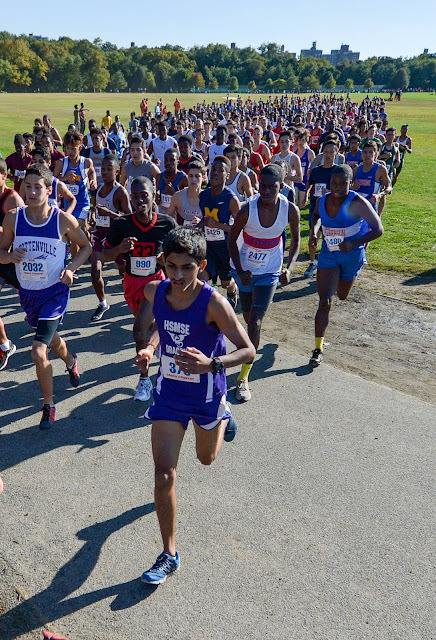 Here's Prasid Gupta in last year's varsity race.